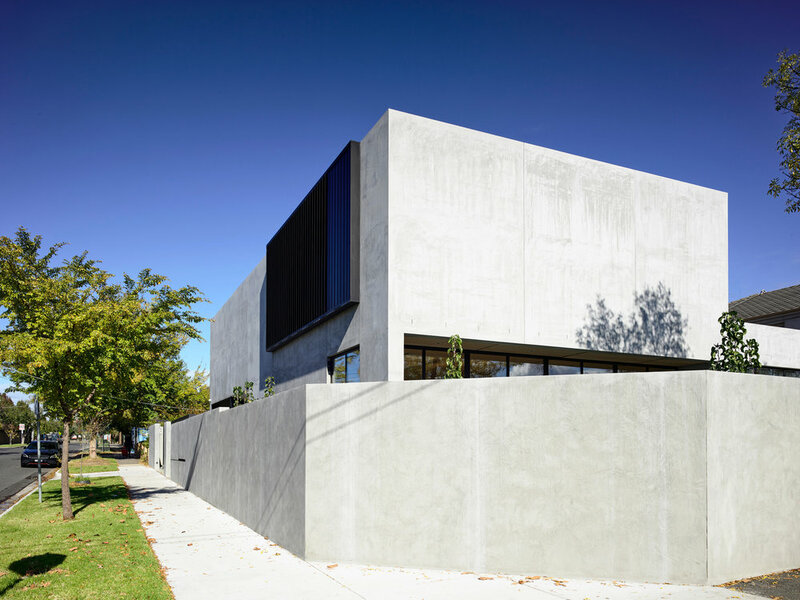  We wanted our new home to look like a concrete bunker. If we could have built the whole house to look like that we would have. 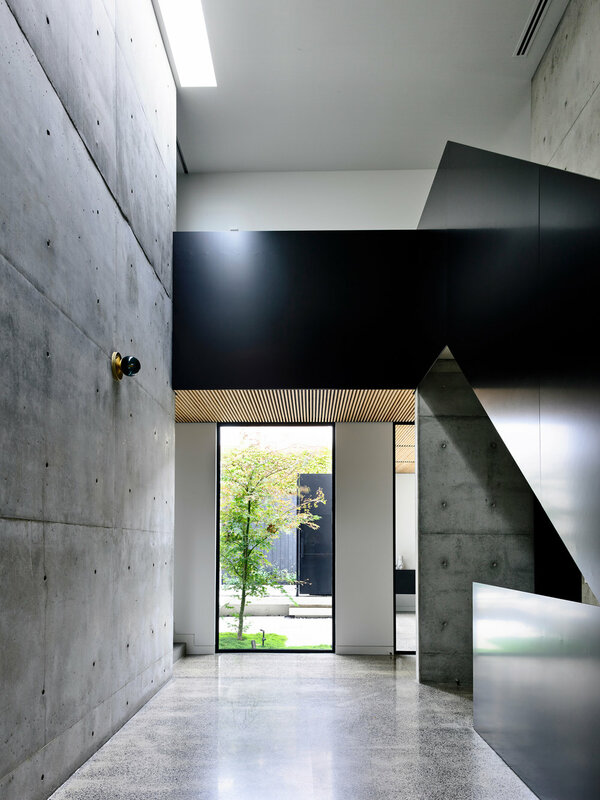 We just love concrete. 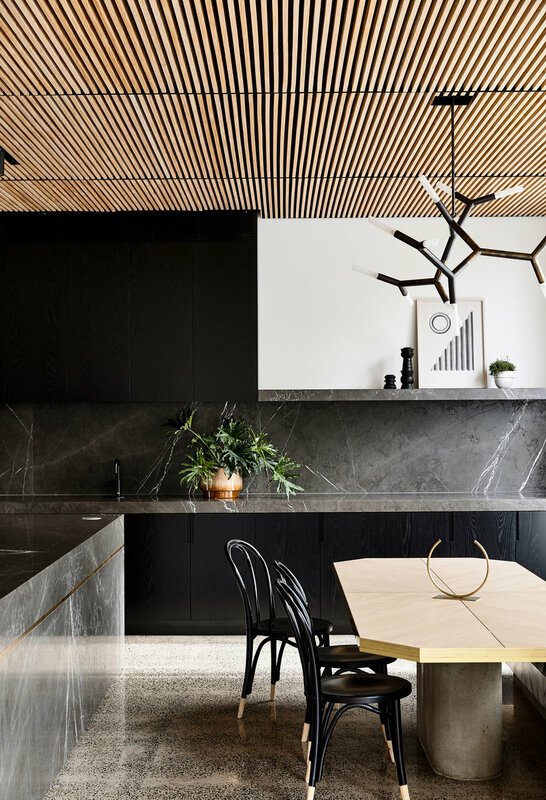 We also wanted timber ceilings for the warmth. 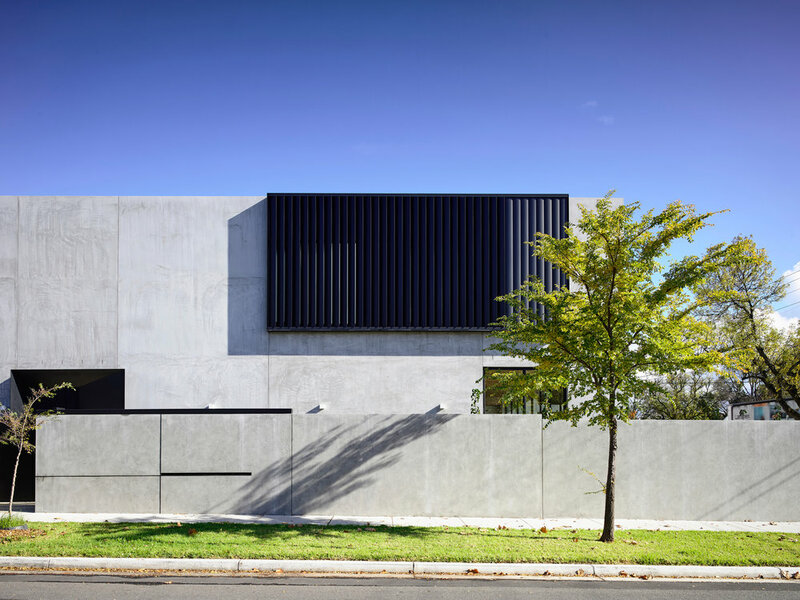 Situated on an exposed corner site, privacy from the street was central to the brief. 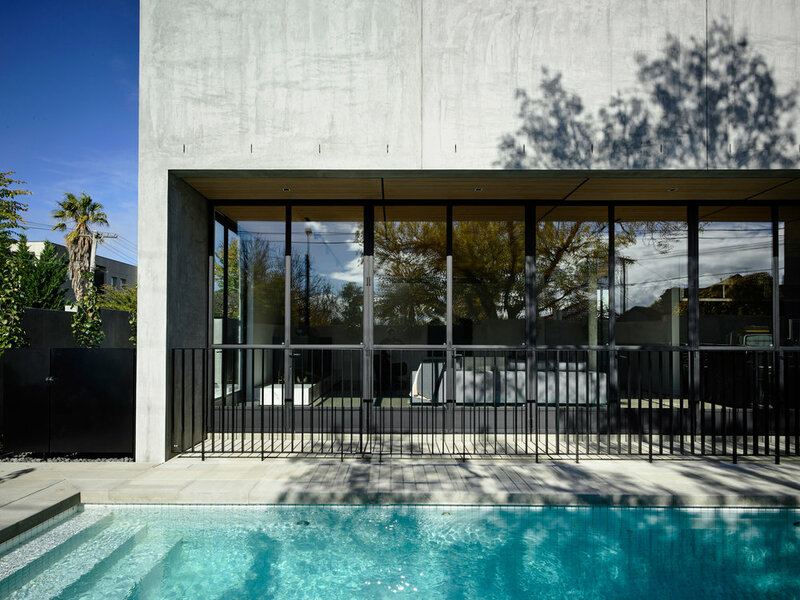 Given the desire for privacy and the client’s love of concrete, they were keen to reduce the number of windows, leaving the public facade as uninterrupted as possible. 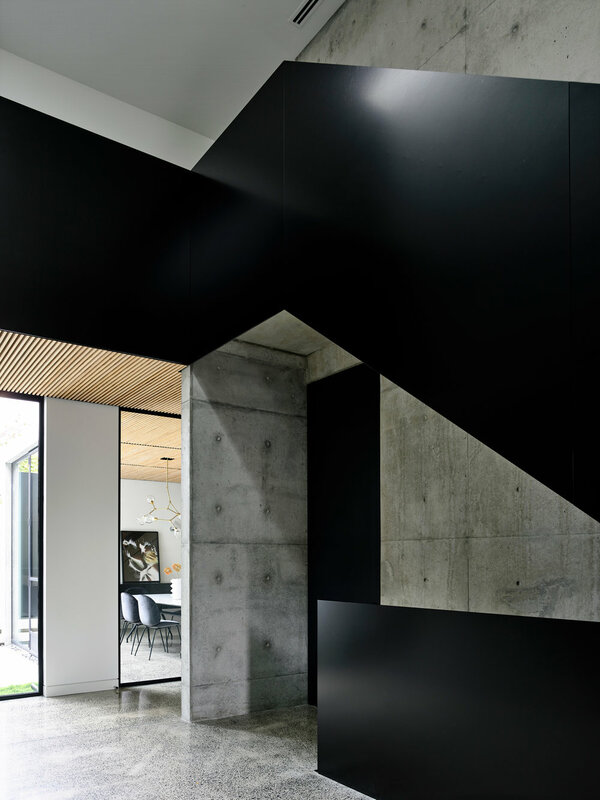 See feature published in leading Australian Residential Architectural and Design Magazine, Houses, issue 125. 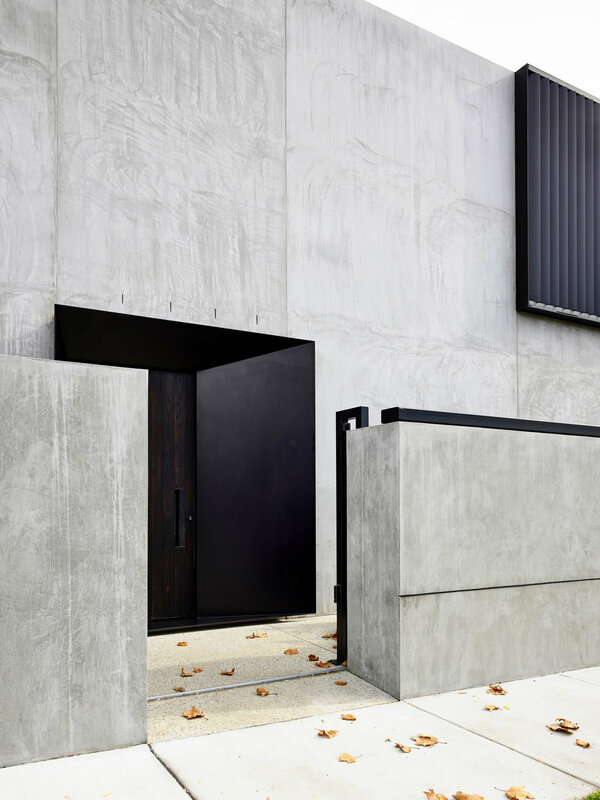 Whilst the external face is monochromatic and austere, the interior - by contrast – is richly textured. 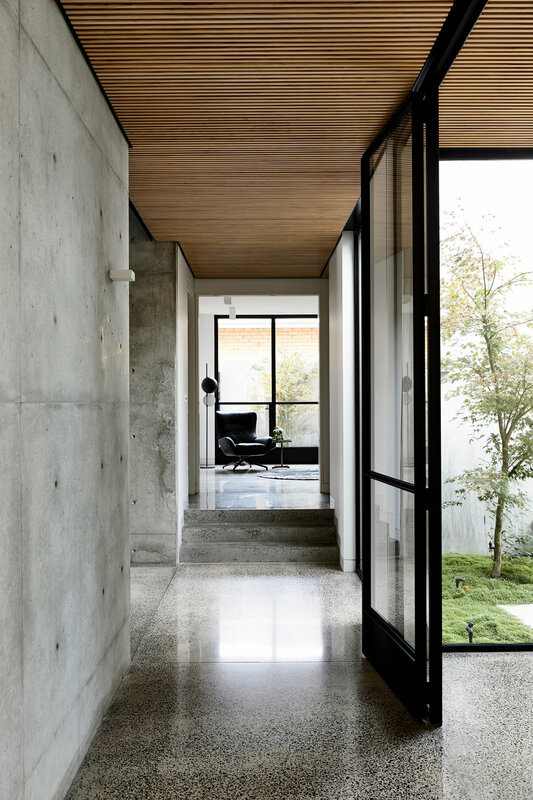 The warm timber battened ceiling offsets the cool tones of the concrete, whilst also acoustically softening the space. 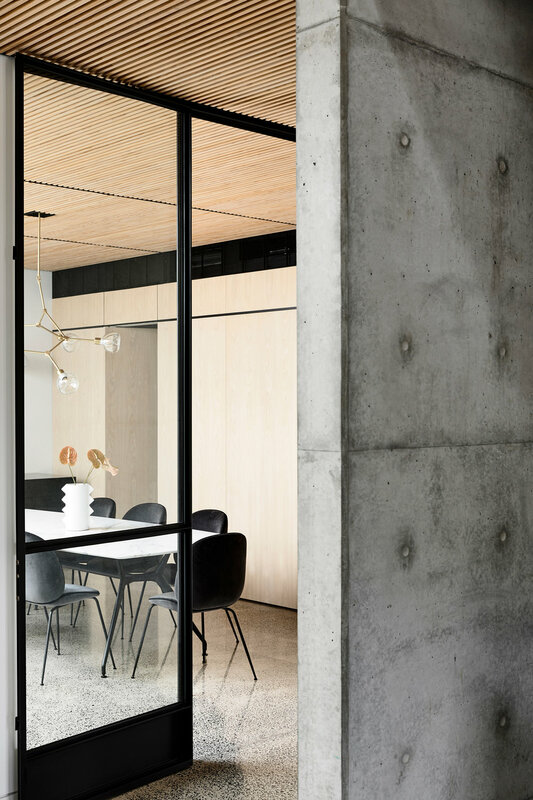 Oak joinery, heavily figured marbles, sheer drapery and delicate light fittings are the softer counterpart to the harder concrete architecture.